Now here is some good news. In the world of adoption, the phrase “meant to be” offers comfort. You hear it all the time: “You will get the baby that is meant for you.” It can sound sappy or schmaltzy but ask any adoptive parent if their adoption was “meant to be” and they will reply without hesitation that it was. 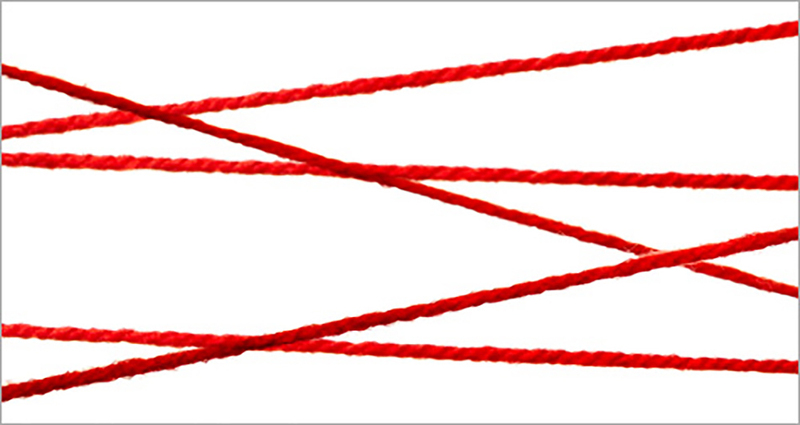 The Chinese call it “the Red Thread,” declaring that there is an invisible red thread that connects people who belong together. So why does this matter? Why take comfort in believing that some things are simply meant to me? Adoption is unpredictable and often feels uncertain. The wait to adopt can be long and there are often twists and turns and bumps in the road. Holding steadfast to a belief that you will adopt the baby that is right for you is not only comforting it; it anchors you. If you face a fall through—and I hope you don’t—you will need to know that the baby that is meant to be your baby has not yet come into your life. But he or she will. Here are two stories of families whose rocky road to adoption led them to their “meant to be” child. Lori is a single mom who is over the moon in love with her three-month-old son, Cory. Watching her playfully sing to him, it is hard to believe that four months ago Lori was crushed by a failed adoption and convinced it would never work for her. She had been matched with a very difficult, volatile, clingy, and demanding woman who, in retrospect, may never have planned to place her baby. Lori endured a wild ride that included long emotional phone calls, a frenzied shopping trip in which the birthmother suddenly “needed” all sorts of things and a weird delivery in an odd clinic. Following the birth of a baby boy, the birthmother curtly sent Lori on her way, as though she never had a relationship with her. Three weeks later Lori received a call… a baby had been born. He was in a hospital in Texas. He was hers if she could get to Houston the next day. There were no strings attached. Although it was difficult for Lori to keep the faith and believe that this would not be yet another crushing experience, she boarded a plane the following morning and set out to claim her “meant to be” son, Cory. Here’s another tale of a couple that truly had to keep the faith…. Randy and Alyssa whizzed through their homestudy doing all their paperwork promptly and then set out to wait to adopt. Along the way they decided to sell their small condo in the city and move to a four bedroom colonial in the suburbs. It was part of their preparation for parenthood. But there was one problem: they forgot to tell their homestudy agency about their move. It was only when a call came that a baby girl had been born and matched with them that Randy and Alyssa learned their homestudy was no longer valid. This felt like the very worst of fall throughs. And so the recriminations came (“It’s all our fault.” “We did this to ourselves.”). A strong couple, Alyssa and Randy worked hard to forgive themselves - and each other - and eventually moved on to another match. This time the birthmother was two months from delivery and she was carrying a boy. Alyssa and Randy had preferred a girl all along and this preference grew stronger when they missed out due to their expired homestudy. Still, they tried to wrap their minds and hearts around adopting a boy, only to learn hours after he was born, that the birthparents had decided to parent. Alyssa and Randy did not drive home with an empty car seat. Instead, their long, happy journey home was filled with frequent stops for them to feed and diaper and hug their infant daughter, Ava. If you are waiting to adopt, I hope that you take some comfort in knowing that there really is a baby out there that is “meant to be” yours. An invisible red thread connects you and will help you find each other.